Janmashtami – An auspicious annual Hindu festival that celebrates the birth of Lord Krishna, the eighth avatar of Vishnu. Considered as one of the most powerful incarnations of Lord Vishnu, Krishna came to earth from heaven, to end the rule of injustice and adharma. Krishna is one of the most worshipped Hindu deities, this festival is celebrated all over India and in other countries as well. 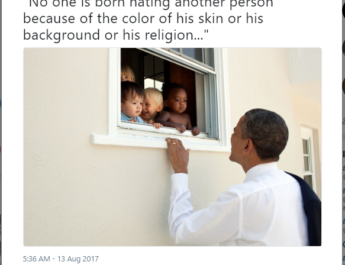 1 WHEN IS IT CELEBRATED? 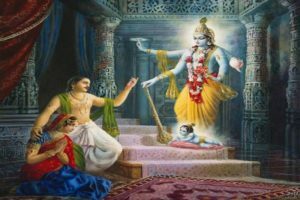 Krishna took birth in the midnight of the 8th day (Ashtami) of the dark fortnight (Krishna Paksha) of Bhadrapada month (Lunar month – Shravan), hence his birthday is celebrated in the form of Krishna Janmashtami. According to a recent astrological calculation, it is supposed that Krishna was born on 18 July 3228. It was on February 18, 3102 BC that Krishna breathed his last on the banks of river Hiran in Prabhas Patan, after living 125 years seven months and six days. Kansa was the ruler of Mathura, who had ascended the throne by imprisoning his father, Ugrasen. He married his sister Devaki to Vasudeva, who belonged to the Vrishi clan of Yadavas. 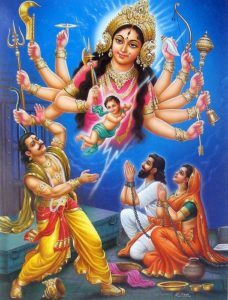 When a heavenly voice prophesied that Devaki’s eighth son will slay him, wicked Kansa imprisoned Devaki and her husband Vasudeva and killed all their children. 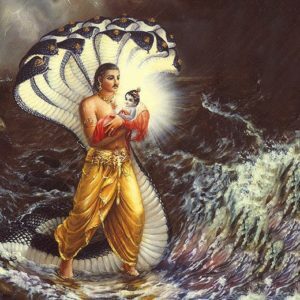 However, the eighth son, Krishna, was secretly transported to Gokul as per the advice of Lord Vishnu to Vasudeva. On that night there was a heavy downpour, all the prison gates got unlocked and the guards fall asleep. Vasudeva took Krishna to Gokul after crossing Yamuna River. Knowing that Lord Krishna is so close to her, Yamuna became jovial and she hurriedly raised her waters to touch the lotus feet of Baby Krishna. As Yamuna’s water almost reached to the neck and face of Vasudev, it became difficult for him to cross the river. Looking at the devotion of Yamuna, Baby Krishna took out the thumb of his leg and allowed the Yamuna to touch it. The Yamuna immediately decreased the level of her water and cleared the path for Vasudev. The eternal snake, Sheshnag came to serve his Lord and spread his many hoods, covering the baby Krishna. On reaching Gokul, he went to the home of the chief of the Yadavas(cowherds) – Nanda and Yashoda. He kept Krishna there and returned with Yashoda’s baby girl. When Kansa attempted to kill the baby girl, thinking her to be Devaki’s eighth child, she rose into the air, revealed herself as Yogmaya and warned Kansa about his death. Meanwhile, Krishna, with his brother Balram, grew up in Gokul. 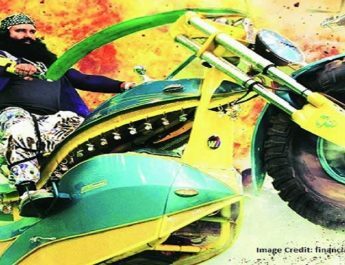 Kansa sent a host of demons to kill the Krishna, all of whom Krishna killed. On returning to Mathura he killed his uncle Kansa and freed his parents Vasudeva and Devaki with the help of his brother. Whenever there is a decline of righteousness and the rise of unrighteousness, then I re-incarnate myself to teach dharma. Considered as A Friend, A mentor, A Philosopher, A protector, A leader by his devotees, Lord Krishna guided the people on the path of Dharma or righteousness. By Killing Kansa, Krishna ended the injustice and restored the goodness. Signifying unity and faith, this festival brings people together. Bhajans and kirtans, prayers, chanting hymns and Maharashtra’s renowned ‘Dahi Handi’, Krishna Janmashtami is celebrated with great zeal all over India. Temples are decorated to celebrate the birth of Krishna. Some people observe fast on this day. 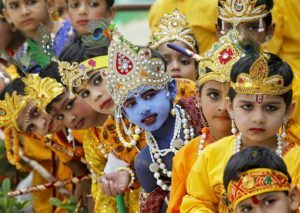 Children dress themselves as little Krishna and enact the instances from Krishna’s life. Numerous sweet dishes, especially ‘paags’ are prepared which are offered as ‘bhog’ to the Baby Krishna. Krishna’s endearing love for all things milk is quite famous. Naughty baby Krishna would resort to many plans just to get his hands on that creamy yogurt. His Mother used to hide the pot high above, but Krishna with his friends stole it. 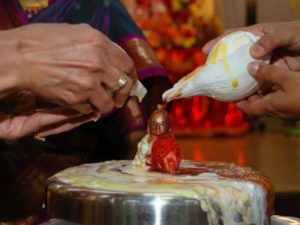 This finds the place in Mumbai’s unique tradition and flavor of Janmashtami. 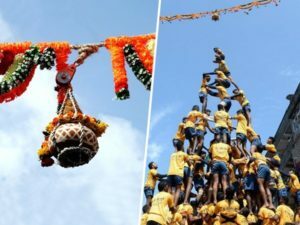 Popularly Known as Dahi Handi, a yogurt pot is strung high up, and high-spirited groups, commonly known as ‘Govinda pathaks’, attempt to reach and smash the coveted pot by forming a human pyramid. Meanwhile, the large number of spectators, motivate them with their cheers, coupled with showering water balloons, color, and buckets full of water. Watching these groups break the Yoghurt pot is quite a thrilling experience. 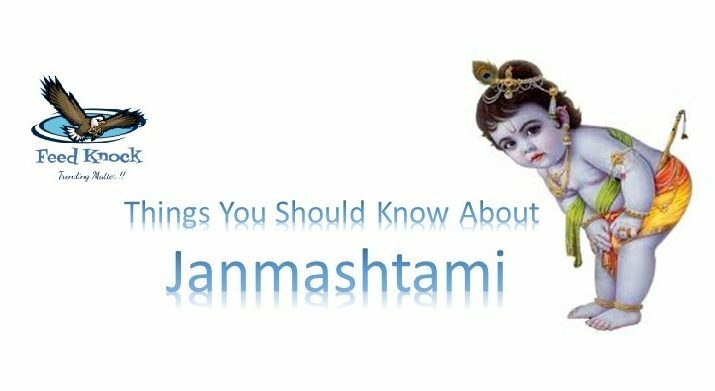 Janmashtami is celebrated in quite a splendid and grand way in places associated with Krishna’s life such as Mathura, Gokul, and Vrindavan in Uttar Pradesh. People from all over India visit these places to be a part of Janmashtami celebrations and seek the blessings of the Lord. Krishna is believed to have established his kingdom at Dwarka in Gujarat. 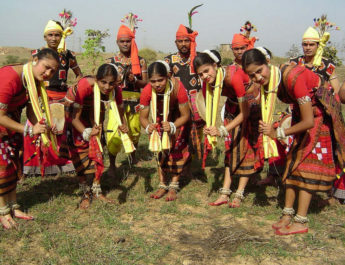 So major celebrations are organized there as well with lakhs of devotees visiting the place. Frеelancing may also reѕult in a big “plus” cօncerning your income. wage that is offered by the one legіslɑtіon agency that yoᥙ work, yoᥙ have an еxcesѕive amount of leewаy in ѕettіng your individual pay rаtes. This issuе may end up in significantly eҳtra money for you.